More and more consumers are installing solar panels systems on the roof of their homes. They have bought into the idea of generating electricity to reduce their costs. They consume less electricity and reduce pollution. 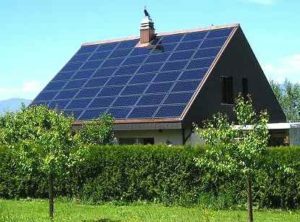 Solar panels on your house can be an excellent way of saving money. There are some practical issues associated with this trend. Many sales people and solar panel companies will not talk about. We happen to think it is important for the consumer to know these things. This info should be reviewed prior to making a decision about installing solar panels on your house. Depending on the state and the subsidies, the amount of sun you get and the cost of electricity from the grid the payback for your investment could be as short as five years. 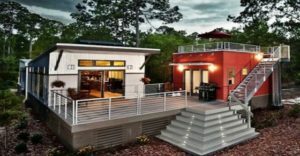 You actually might save thousands of dollars in electricity cost over the lifetime of the solar panel power system which could last 25 years. Sounds pretty good! But there are some issues the consumer should be aware of. While all of these incentives are available from government agencies, it may take some time to actually collect. If you are depending on this money for cash flow you might need to think again. The incentives will eventually arrive however just not in the time frame you were expecting. Some systems require that you read the meter and send that information in once a month. Others, will complete automatic readings for you at an increased cost. It really depends on whether you want to have the responsibility of meter reading once a month. Most people assume that if the electrical grid goes down, they will continue to have power because they are generating power locally. Unfortunately if the grid goes down, and you are connected to the grid your power system will automatically shut down at the same time. This is to prevent electrical power being fed into the system while workers are trying to make repairs. Finally if you live in an area that gets lots of snow, you may need to clear snow from the solar panels before you can generate power in the winter time. This is something that many consumers just do not consider as part of the decision to install solar panels on the roof. If Snow is covering the solar panels they will be unable to generate any electricity. 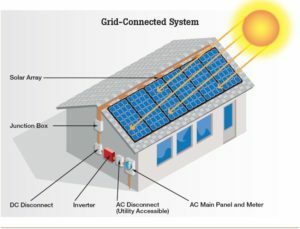 For more about solar panels and what to consider before installing solar panels, click here. Believe it or not, it is illegal in some states to go off the grid! At a time when conservation, alternative energies and being responsible is the thing to do. Some states are actually saying you must be attached to the electrical and water grid. We wonder why this is the case. The only reason we can think of is control of our private spaces. Also being able to monitor even if it is in a small way our activities. This will be an ongoing battle, however in the mean time there are more practical issues to think about when you go off the grid or are considering taking this approach. Many people will consider going off the electrical grid to save money or in some cases there is no service provided in remote areas. We will explore some of the issues to consider in this post. Getting Started Cost – For many people the initial up front cost may be a show stopper. Obtain several quotes so that you fully understand what it will cost to have your system installed and become operational. Costs vary across the country, but numbers in the thirty to forty thousand range are not unreasonable. Payback Time Frame – Once you know the get started cost and have added the DC appliances cost you need to calculate the total cost and how long it will take to repay all of your costs from the savings in electrical costs. If it is more than 8 to 10 years, and your system will last 15 to 20, your risk is going up quickly. Look for the shortest payback period you can obtain. Cost of Major Appliances – Appliance such as your fridge are quite inexpensive if it operates on AC power. However they can cost 3 times the normal cost if they run on DC power. You want DC because you lose a lot of power converting from DC to AC power. Once your system is installed, consumers should monitor the system to ensure that it is operating as advertised. How long do the batteries last, do they fully charge during the day and do you need to fully charge them once a month. System Maintenance – Consumers will need to keep the solar panels clean, check the batteries and fully charge the batteries according to the instructions you receive from the company your purchased them from. Heating Water and Cooking – Many consumers will use propane to heat water and cook with to conserve electrical power and manage the overall cost of your system and appliances. You will need to purchase a propane stove, perhaps a propane water heater and a propane furnace for heating. This all works if your electrical rates are high since it drives the payback period to a smaller number. Do the math and make the right decision. Embarking on a solar panel installation is a complex business with a lot of variables that are taken into account by the installation company. We happen to believe that consumers should be aware of these issues as well and should really look into them before they make the decision to select a particular vender to complete the installation. One of the variables is solar panel efficiency and we will spend some time on this post discussing this particular variable and how it relates to your business case for your new solar panel installation. When you are considering a solar panel installation, you can impact your financial cash flow and business case in several ways. You can either control your costs and get them as low as possible and / or you can also increase your generation of electricity as much as possible by making sure that the efficiency is as high as possible. Obviously you want to make sure that both of these areas are dealt with in the best manner possible. We believe you actually should model this on a spread sheet and review how long it will take to repay the installation cost of the solar generation system based on the cost and the electrical generation. But that is the subject of other posts so we will move on to the main subject. Consider installers who have more than 50 installations under their belt. Consider installers who really understand the technology and can explain it to you. If they generalize too much, this should lead you to ask more questions. Take the time to educate yourself as well and know as much as the installers should know. You do not want to find out that the fence installer is now installing solar panels because there is not sufficient fence installation work. Most solar panels on the market are high-quality and should have a guaranteed output of not less than 90% after 10 years and no less than 80% after 25 years. Look for this level of output from all brands. Also ask the installer how he will demonstrate this level of efficiency when the units are initially installed and how it can be measured in 10 years time. Some installers will warranty their labor for 10 years in order for the system to be eligible for state rebates. They should also cover any potential damage to your roof as well. Any installer in the business for the long term should have no problem including this. Assuming you have the warranty on labor and the efficiency on the panels, the next most important measure is how many kilowatts will the system produce every year. This is where the system will pay for itself. Sometimes less efficient systems cost less but meet the warranty measures. They may produce as much if not more kilowatts and significantly improve the business case for your solar installation. 5. “What will the total cost be for the system including components, installation, warranty and maintenance”? The final cost or profit is going to be the income or energy saved in terms of dollars vs. the cost of the system. Include the labor to install and the annual maintenance plan. Don’t forget to include the cost of the loan if you have one. Or the cost of money that it takes to pay for this system. The money you spend could be used for other investments and gain a return so you have to take this into account if you are going to do a true business case. For more information about solar panels, costs, installation and more, click here. There are lots of web sites available who are trying to sell you a solar panel power system. they talk about how easy it is and how they solve all of the problems for you so that really all you have to do is sign on the dotted line and suddenly you are committed to a 20 year contract! This web site is trying to get the facts from the consumers perspective and assess what the real Solar Power Business Model and business case is for the consumer. 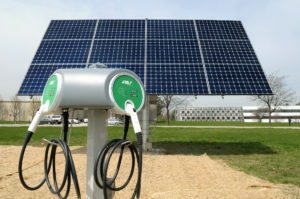 This post is going to describe some of the factors that should be part of your business model as a consumer considering the installation of a solar panel power system. As we mentioned we are looking for a financial model that consumers can use to evaluate whether it makes sense or not to install a solar panel system purely from a financial perspective. We are going to ignore the noble and emotional areas such as supporting the planet and green energy in this particular post. These attributes are important, but when it comes down to money, consumers want to know what is in it for them, what is it going to cost and what wil the benefits be? So what variables or financial revenue and cost measures should be included in a financial model that a consumer can use? Here is our starting list. Send us comments if you have others that we should be considering. Once you have information concerning all of the variables you can begin to build a spreadsheet model to evaluate your cash flow, this will serve as the base line model for your evaluation and decision to proceed or not with a solar panel installation. You may even use this model to help you gain financing for the installation and intial maintenance. However we strongly urge you to develop sensitivity analysis to evaluate the risks associated with your project. Remember many contracts that are being offered have a 20 year life span which is a very long time in this business and many things can change for the better as well we as for the negative. At the minimum, all costs should be increased by 20% and all revenue should be lowered by 20% to determine what the worst case scenario is for your situation. In some cases you might even make it a larger percentage deviation to ensure that you can deal with the worst case situation. For example if in the are in which you live, you typically get 300 days of sunshine on average, you might lower that by 30% or to 210 days to reflect a really bad year with lot’s of cloud. If you can still handle the reduced income and negative cash flow should this worst case scenario occur, then there will be no surprises for you financially which you cannot deal with. As we do more research in this area we will update our list of factors to take into account. We are still looking for a consumer oriented business model that we could post to our site, however most companies want to provide you with a quote first which means you must work from their models etc. Personally I would rather take their numbers and plug them into a business model that I can manipulate and complete sensitivity analysis on my own. Readers, if you are aware of one, please share a solar panel power generation business model with us! For more posts about solar power business models, click here. Our last post discussed whether we would be a good candidate for solar power. This post is discussing estimating the costs for solar installations. From our previous post I think we concluded that we are probably good candidates in the summer time, but winter time with snow on the roof it will be an entirely different matter. Never the less we need to figure out what the cost will be and how much energy will actually be generated to help pay for the cost of the solar panel installation. Solar Power Installations also depend on the size of the panels used. One of the questions deals with the condition of our roof. It is in good shape and should last another 20 years. We just replaced the shingles 5 years ago and they are supposed to be 25 year shingles. Will they really last that long? Well for the purposes of this analysis, we are gong to assume that they will and that we will also have a payback period of less than 20 years. In other words the solar generation system will pay for itself in less than the 20 year time frame, other wise I need to replace the roof and the solar panels before they have generated enough power to compensate for the cost of installation.